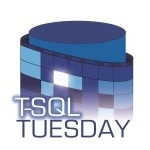 @sqlbek (Andy Yun) posted a challenge for T-SQL Tuesday 84, where he encouraged people thinking about becoming a speaker to write about their experience giving their first talk, a topic they wanted to present on in the future, or even on starting the road to creating their blog and establishing themselves in the SQL space. I am a production DBA who focuses on performance tuning for a few thousand users. I haven’t written anything you’ve read (yet). I have been poking around with PowerShell for more than a year, before this experience I had written only a few small things that made it to production. Definitely beginner skill level. Migrate your SQL Server painlessly? Double check that you have the best practices configuration for component or feature X which you are not an expert in? Centralize the knowledge you find scattered around on various blogs and SQL wizard cabals? I am here to introduce your to dbatools, an open source project, to talk about my experience going from pure production DBA to PowerShell convert, and to talk to you about how augmenting your skills with some of these commands can mean very little effort expended for a significant payoff. My environment is growing rapidly, so I started looking for tools that I could use to help me do my job in a way that didn’t leave me in a cold sweat at night. dbatools was created help busy DBAs do their jobs, hopefully encoding best practices and reducing the cargo culting in the SQL Server community. While dbatools was originally designed to migrate your SQL Server instance’s objects from one server to another it is currently expanding into a set of commands (cmdlet reference ) that I think many of my peers in the SQL Server would find very useful. I was a bit gobsmacked as I had just finished my own instance migration, and it certainly took a significant amount of time and effort compared to this painless invoking of this cmdlet. A bit of hanging around and even though I felt unfamiliar with PowerShell development, I was was roped into writing my own cmdlet . To be frank, looking back at my first draft is painful. I was worried about my code quality given my experience, and so I asked for some feedback from the head of the project Chrissy LeMaire. What I got back was almost unrecognizable as my code, and it was one of the first times I was able to see my feral PowerShell (that did the job, badly) turned into something that you could consider idiomatic code. I learned more in that code review than I had in the previous year of starts and stops in PowerShell land and spent the next week picking it apart and asking questions to cement my knowledge. In one week I had expanded my PowerShell knowledge by at least 20 times, and felt way more comfortable in working with the team to build some command or troubleshoot an issue! In the end I had a fairly robust cmdlet and with minor bug fixes it made it into the release! I was super happy to have something published in an open source project, but even more, I was happy to have found a series of mentors who wanted to help me build my skills as a PowerShell and database developer. A few pull requests and a few months later I am confident in my PowerShell abilities to figure stuff out, work through problems, and help newbies through their first steps to contributing to dbatools. The small scope of PowerShell I have been able to learn and utilize has made things which at one time seemed daunting now seem possible, and even easy. Now I want to help you make my story your story, contribute to dbatools. dbatools is a community that lives in the #dbatools channel in the SQL Community Slack Any time day or night people are chatting, working on code, listening on feedback to improve the tools, and answering questions for people looking for help using it. Come and express interest in contributing, we will help you through the rest! If you are just learning PowerShell, that’s ok, many of us are still puzzling things out! All skill levels welcome! We need help with not just with writing code, but with documentation and testing; your first contribution could be as simple as running a command. You can contribute as much or as little as you have time for, many issues are as simple to fix as adjusting one line of code.